The Dundee fighter was stretchered from ring after bout against Dale Evans in Glasgow. First Minister Nicola Sturgeon has sent the condolences of MSPs to the loved ones of late boxer Mike Towell. Towell, 25, was stretchered from the ring after being stopped by the referee in the fifth round of his bout against Welshman Dale Evans at the Radisson Blu Hotel in Glasgow last Thursday night. The welterweight from Dundee fell to the canvas at the conclusion of the fight run by the St Andrews Sporting Club before doctors went into the ring to offer medical attention and provide him with oxygen. 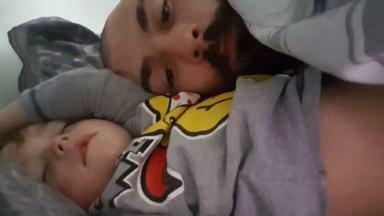 The father, who has a young son named Rocco, battled on for almost 12 hours after being taken off life support. His family and manager, who were at his bedside in hospital, have been left devastated by the loss. Manager Tommy Gilmour said Towell was one of the "greatest characters" he has met while girlfriend Chloe Ross revealed she was "absolutely heartbroken" but her partner of eight years had "left doing the thing he's best at". Speaking during First Minister's Questions at Holyrood, Ms Sturgeon said: "On behalf of parliament, can I take this opportunity to convey sincere condolences to the family and friends of Mike Towell, who sadly lost his life following a boxing match in Glasgow last Thursday. "The British Boxing Board of Control is investigating the circumstances and it would be obviously inappropriate for any of us to comment on the details at this time." The SNP leader spoke in response to a question from Conservative MSP Liz Smith about head injuries in sport. Ms Sturgeon pointed to the fact Scotland was the first country in the world to introduce guidelines, in May last year, for dealing with concussion in sport. Ms Smith asked if there should be a standardised approach to serious concussion injuries across all sports, highlighting that suspension from the ring for such cases in boxing is at least 28 days but just seven days in rugby. The First Minister told her: "We do need to make sure that we keep this under review and that as we do so we are informed of the best medical opinion." Ms Smith's party colleague, Brian Whittle MSP, has called for a fatal accident inquiry to be held into Mr Towell's death. Welsh boxer Evans has spoken of his torment following the death of his opponent, telling the BBC: "I feel like I am responsible. I can't stop thinking about Mike and his poor family. All my thoughts are with them." 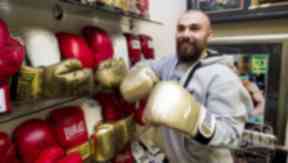 Former boxing world champion Ricky Hatton has helped surpass a target to raise £40,000 to support Mr Towell's family.